Here is my go to smoothie that I like making a couple times a week for a quick and healthy breakfast. 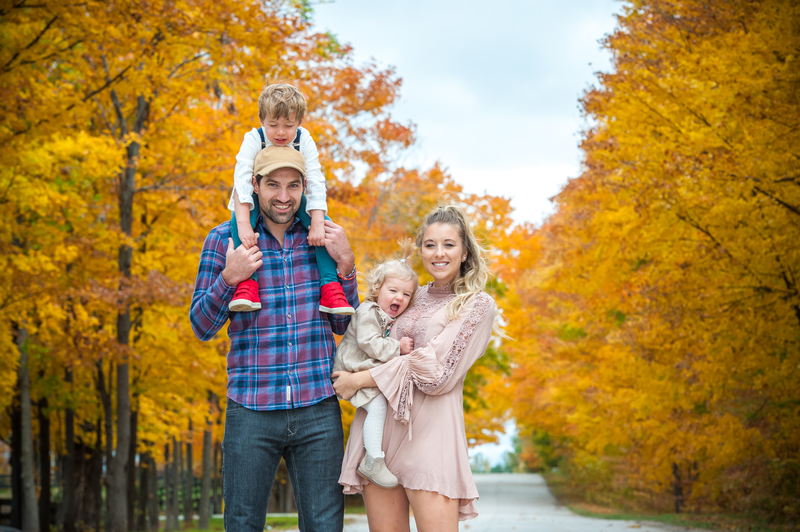 Being a new mom I don’t really have a lot of time for myself and this smoothie is great for giving me that boost of energy I need to tackle my day 🙂 You can also make this smoothie a “make-ahead” freezer friendly, so all ingredients are ready to go. First start by chopping up some pineapple, banana, strawberries and spinach. Or if you have these ingredients already prepared in the freezer just go ahead and use them. 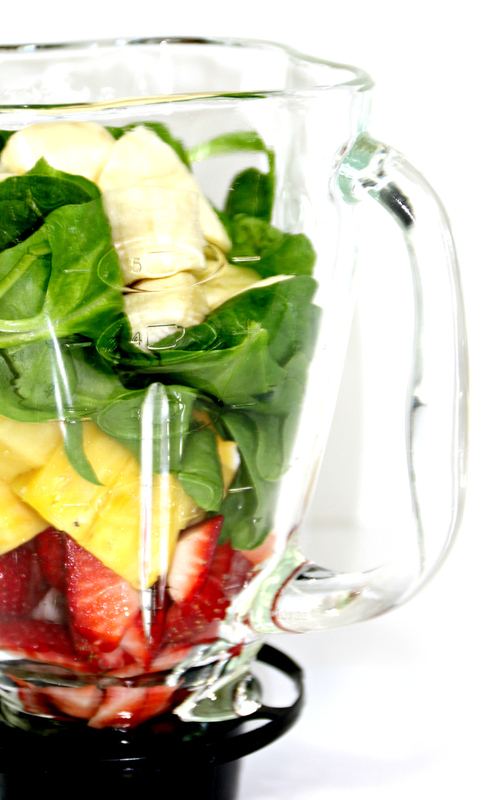 Then add all fruit into a blender. 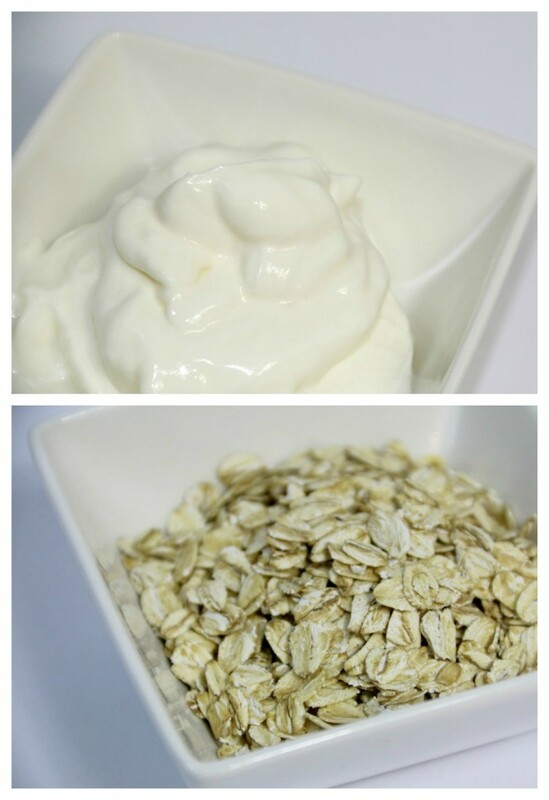 Before you blend fruits add oats, fruit juice and greek yogurt. Blend all ingredients together. Healthy Morning Boost Smoothie! Doesn’t look amazing but the flavor is spot on, and is great to grab and go! 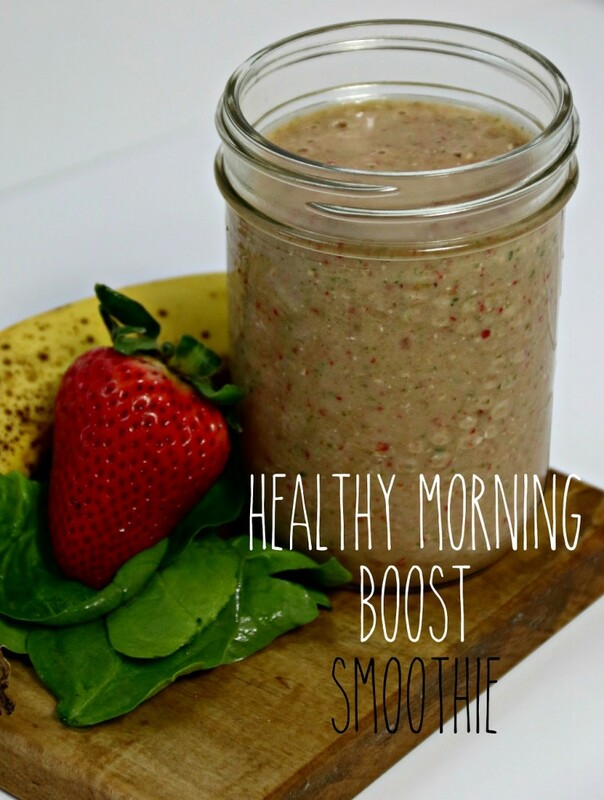 Delicious refreshing, energy boosting smoothie for your mornings! Combine spinach, strawberries, pineapple, banana, fruit juice, oats, and greek yogurt in blender until smooth. If you do not have frozen fruit add 1/2 cup of ice until you reach the desired texture. This entry was posted in Appetizers & Snacks, Breakfast, Recipes and tagged banana, green smoothie, healthy drink, healthy smoothie, pineapple, pineapple banana smoothie, smoothie, spinach, strawberries.